As with many things in life, this layout isn’t going exactly to plan! But — I like it better than the original drawing. 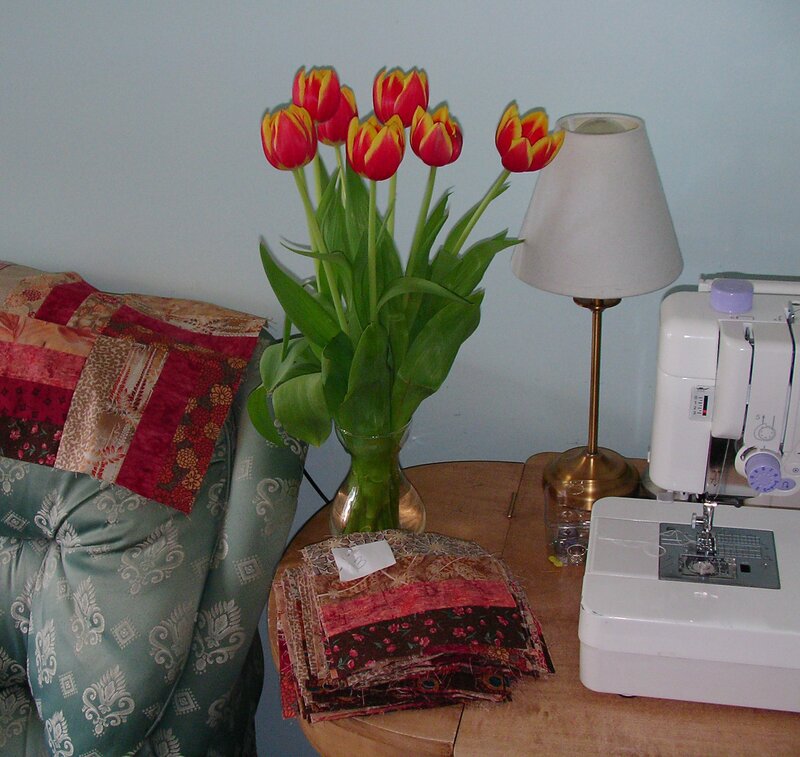 Do you think that sometimes a quilt just “tells” you how it wants to be? 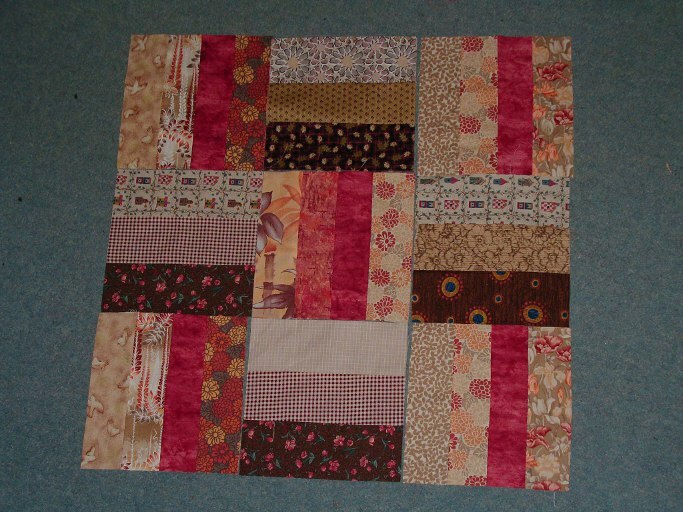 And all the rest of the blocks are made and waiting to be added, row by row. The little white squares are the tags for the row numbers. 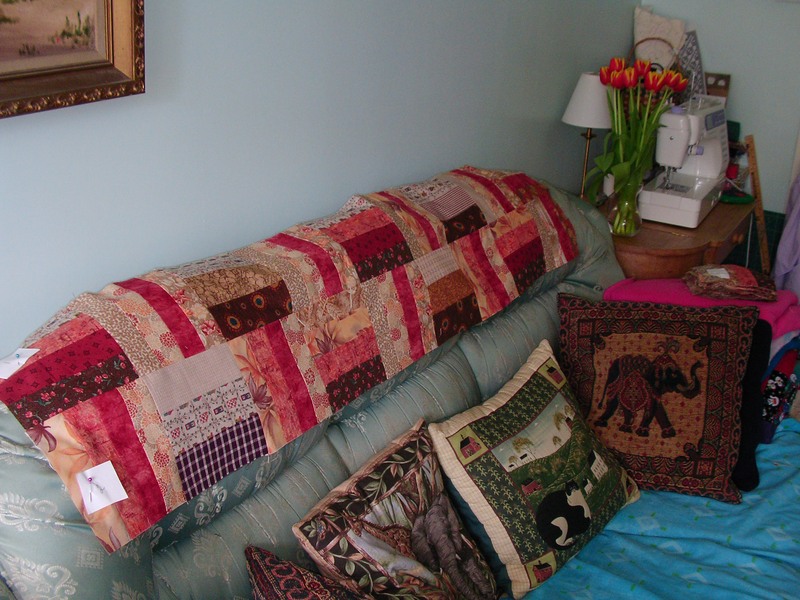 Please visit Judy to see what other quilters have on their Design Walls today. Chocolate and raspberry mmmm its looking lovely! 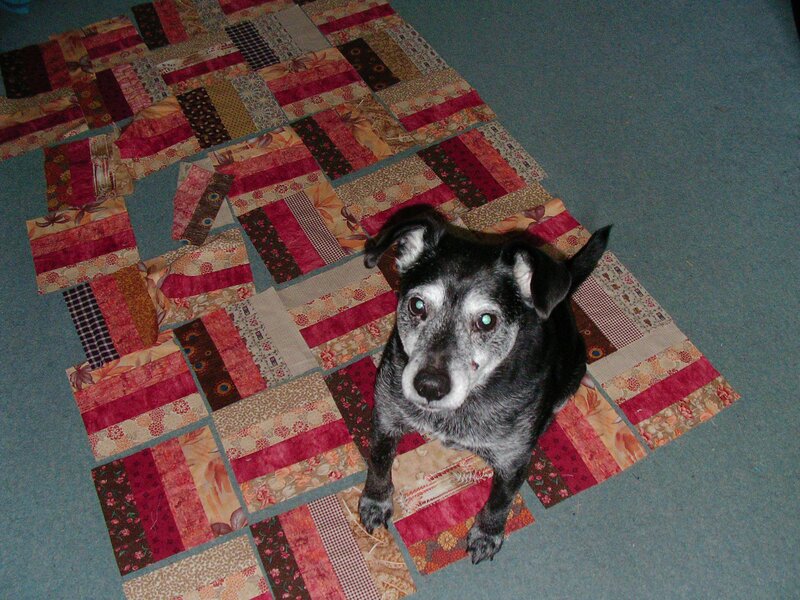 Love your quilt-colours great–love your dog! Very cute quilt colors. Your dog likes to check out new quilts just like my cat. I definately think that quilts have a mind of their own! And some of them are really bossy! I love the red and brown together. Not too long ago I was looking at a Decorating mag’ that had those colors and loved it! Warm and inviting. Your quilt is beautiful, I love the colors. And really nice flowers. Nigel looks perfectly happy with that layout. You should go with his. Love the chocolate and raspberry color way. I find the computer can be a good start, but sometimes you just have play with the actual blocks on the design wall.